Summary: The recent turmoil in current world events should raise some alarms, prompting us to evaluate the valuable freedom that we still enjoy. The recent turmoil in current world events should raise some alarms, prompting us to evaluate the valuable freedom that we still enjoy. What freedom am I talking about? There are many freedoms we enjoy in a supposed age of democracy. One of these—freedom of speech and expression—has recently come under close scrutiny. To be more specific, the latest massacre involving Charlie Hebdo should be carefully examined. The mainstream news definitely does not clarify the issue but rather confuses it. 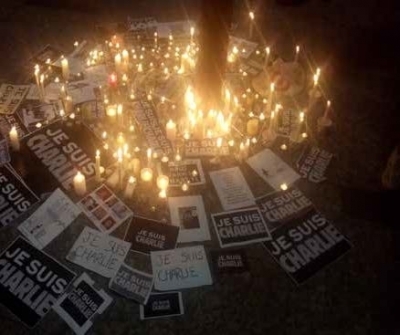 On January 7, 2015, two gunmen gunned down the offices of the French satirical newspaper Charlie Hebdo. While murdering cartoonists and editors, they shouted “Allahu Akbar,” or “god is great.” They killed eleven people, injuring many others in the process. The gunmen identified themselves as belonging to Al-Qaeda, and this event has sparked debate about freedom of speech and freedom of expression worldwide. Since this event, anti-islamist rallies have sprung up in Germany, and anti-Muslim protests and violence has erupted worldwide. In response, many Muslims are taking a stand for their beliefs, holding rallies and protests against Charlie Hebdo’s undoubtedly controversial and provocative comics. 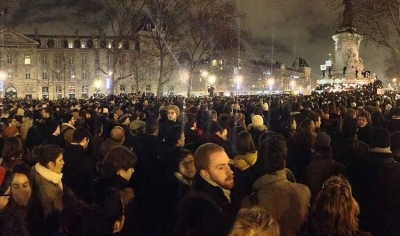 French President Francois Hollande said: “This was an attack on freedom.” Further, he presented a solution, “We must realize our best weapon is unity. Nothing must separate us or drive us apart.” 1 Well, something is driving us most definitely apart. And what is that? Our beliefs and worldviews separate us. It’s painfully obvious that there is a major contrast between the religions of Islam as compared to Christianity. The journalists used their “freedom” to share their viewpoints. Note, however, the irony behind what happened: as a result of a few cartoonists that “attacked” a religious figure, everyone’s freedom of speech should be limited. Free speech allows a person to say what they think, even if it is disrespectful and hurtful. It isn't Christ-like to be disrespectful or hurtful to others, and freedom of speech should not be disrespectful or hurtful, but unfortunately freedom intrinsically allows one to be such. But how we respond to that message is also vitally important. Christians nurtured by Christ and studied in pure Scripture would never respond to Charlie Hebdo in the way a Muslim would, as Christianity has a completely different teaching towards its enemies. Antagonism towards other religions is unacceptable. We should be respectful of other worldviews. But the need for respect does not negate anyone's right to freedom of speech, whether respectful or not. Pope Francis is one of many that has been working very hard for the overall respect and acceptance of all religions with their included values and ethics and belief systems. But what acceptance and respect is this based on? How is it to be expressed? The Pope states: “Every religion has its dignity. I cannot mock a religion that respects human life and the human person.” 2 That sounds almost like the human rights charter of the United Nations. Is the human rights our standard for respectfulness? This standard is based on humanistic ideals and will never adhere to the needs of the Christian community, but will water it down to accommodate the whole community of religious ideals. The Jesus of the Bible needs to be universal, included and acceptable to all religions. This is the only way there can be unity according to this standard. The prominent theologian Dr. Hans Kung in his thesis for world peace said: “No peace among the nations if not first peace among the religions.” 3 Further he suggests that universal values have to find common universal standards. These standards are called the golden rule of all religions. He even cites the verse: “Therefore all things whatsoever ye would that men should do to you, do ye even so to them: for this is the law and the prophets” Matt 7:12. But there is more to that statement than meets the eye. Christ did not annul or abrogate the individual laws and doctrines, but only summed up the main points of His teachings. Unfortunately, today, this verse is taken as a standalone principle, and the “law and the prophets” upon which it is based are set aside. Only inclusive teachings or doctrines that suit the new ideas of unity are promoted as useful for the purpose of the prosperity and well-being of humanity. “The United Nations exists to fulfill its founding ideals of preserving peace and security, promoting global cooperation, and advancing human rights. These are the responsibilities of all nations, but especially those that seek to lead in the 21st century”. 4 In other words Peace and security comes by cooperation and the advancing of “human” rights. My Jesus—the Jesus of the Bible—said that peace and security comes by something else than what Obama and the UN suggest. How does He make peace? And, having made peace through the blood of His cross, by Him to reconcile all things unto Himself; by Him, I say, whether they be things in earth, or things in heaven. 1 Corinthians 1:20. I am crucified with Christ: nevertheless I live; yet not I, but Christ liveth in me: and the life which I now live in the flesh I live by the faith of the Son of God, who loved me, and gave himself for me. Galatians 2:20. I am the way and the truth and the life. No one comes to the Father except through me. John 14:6. These absolute statements by Christ drive a wedge between true Christianity and the rest of the world and its religions. Now the demonstrations recently in the news might not be so alarming if it were not for the demands of Muslims urging the UN to make “contempt for religions” illegal. 5 There has been an enormous outcry from the Muslim community for protection of their identity and values, including the prophet Mohammed. This is where we need to sharpen our ears. If religious persons and lawmakers come together, that’s when we should wonder what application this may have for us. Interestingly enough, as Adventists we have always believed that the Papacy would be behind the push against those that would speak up against its unBiblical teachings. Who is behind Islam? The similarities between Islam and Catholicism are too great to pass up. Could they be interconnected? Is the Papacy bringing to fruition its goals behind the face of Islam? As Seventh day Adventists, we share a special burden for the spread of the Three Angels' Messages and the endtime truth regarding the coming climax of the onslaught against Christ, specifically His moral law which applies to all mankind. Now we come to the point where truth will not be able to be preached legally, because it is offensive, discriminating and exclusive. The events we see transpiring in France and Germany show us that the final events are coming upon us. Soon a fundamentalist will be anyone who defends the faith through apologetics, or who proselytizes (evangelizes).6 It will not be legal to witness about our faith. The Pope would like us to return to the Dark Ages when it was unlawful to say anything against the Catholic faith. This age of tolerance is actually not tolerance but restriction under the guise of tolerance. Seventh-day Adventists should be using the short time now available to actively and prayerfully witness in their circle of influence. We should all be preparing ourselves for what lies ahead, spiritually strengthening ourselves and asking God to make us ready for that time. May we not lose heart. Robert Jaeger grew up in Germany and is living currently in Canada where he works as Bible Worker at Amazing Discoveries. His experience comes from simple, but profoundly effective work at Medical Missionary Schools spread around the Globe. He is passionate about young people who share his enthusiasm for the Advent movement and wants to equip them for Christ.